Wearing a true holographic polish really makes me want to yodel. Or try something else as equally ridiculous for me to attempt. Trying my hand at brain surgery after reading up on the Wiki pages? Hog-tie a darting calf in a crowded three ring circus? Acting as a Sherpa to climbers of a snowy mountain? If you answered yes to that last one, then you would probably be using the term "Sherpa" incorrectly. Sherpa correctly refers to an ethnic group from the most mountainous region of Nepal. The people from these Himalayan regions are "highly regarded as elite mountaineers and experts in their local terrain"1. Not every "guide" on a mountaineering excursion is a Sherpa. It's a very small portion of guides, and only those from this region. If you answered yes to any of the other ones, you know me well. So here's a true holographic...the yodel-inducing formula. Jade Groove (Layla) and Connect the Dots (Lynderella). nice combo! i know how you feel, i just picked up two of the layla's tonight and i couldnt stop ooohing and aahing. i even made my boyfriend ooh and ahh with me! What a cool combo! Both amazing polishes! I appreciate the blurb about Sherpas, haha! connect the dots always rocks! Amazing! I love how this looks! I would never have thought to layer Connect the Dots over a holo! I LOVE how this glitter looks over the holo. 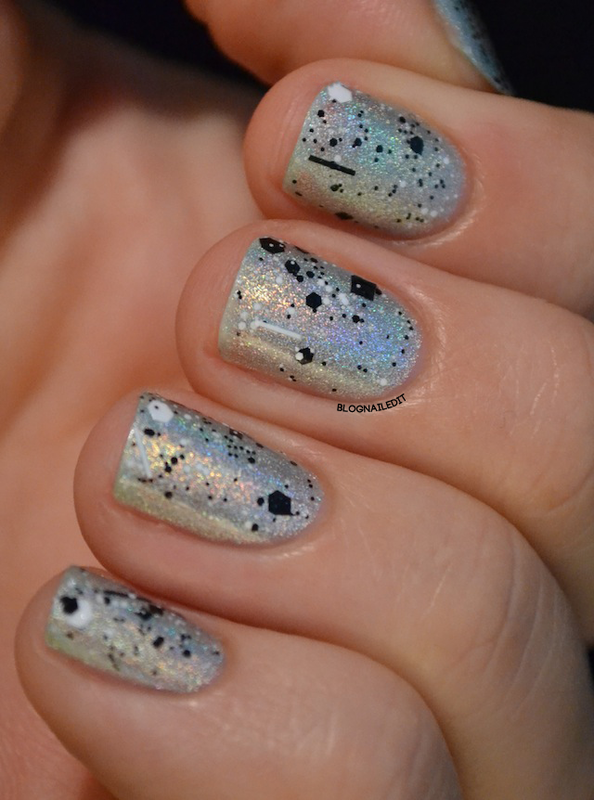 I never thought to put a matte glitter on top of a linear holo, but now I'm going to have to try it. I've been willing the sun to come out to play so I an wear my new Layla, but its been rainy all week!